This publication is co-branded by NCSEA and authored S.K. Ghosh, Ph.D., and John Henry, P.E. 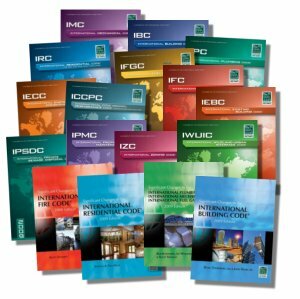 Published by ICC, the 2009 edition of this popular IBC® Handbook includes discussions on many of the structural provisions of the 2009 International Building Code®. 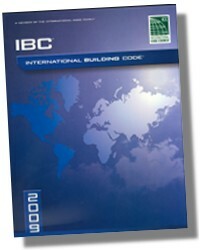 This completely detailed and in-depth discussion on the 2009 IBC® provides a great wealth of code knowledge for anyone working with the structural provisions of the code. Well-known authors S.K. Ghosh, Ph.D., and John Henry, P.E., provide detailed discussion on the requirements in Chapters 16–23 and trace the historical background and rationale of code provisions. The Handbook also contains more than 200 full-color drawings and figures to clarify the application and intent of code requirements. A Bonus CD-ROM contains the complete Handbook as well as many helpful structural references: CodeMaster: Seismic Design; Seismic Design of Steel Special Moment Frames: A Guide for Practicing Engineers; and FEMA 232, 389, 440, 450 (Parts 1 and 2), 451, 451B, 460, and 547. This CD allows you to navigate easily through the documents, search text, copy images from figures and tables, and cut and paste small excerpts into correspondence or reports. Expanded content and in full color! This essential resource is an important tool for civil and structural engineers, architects, building officials, plan check engineers, plans examiners, inspectors and others who use the International Building Code®. 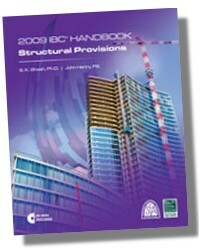 No office should be without a copy of the IBC® Handbook: Structural Provisions.